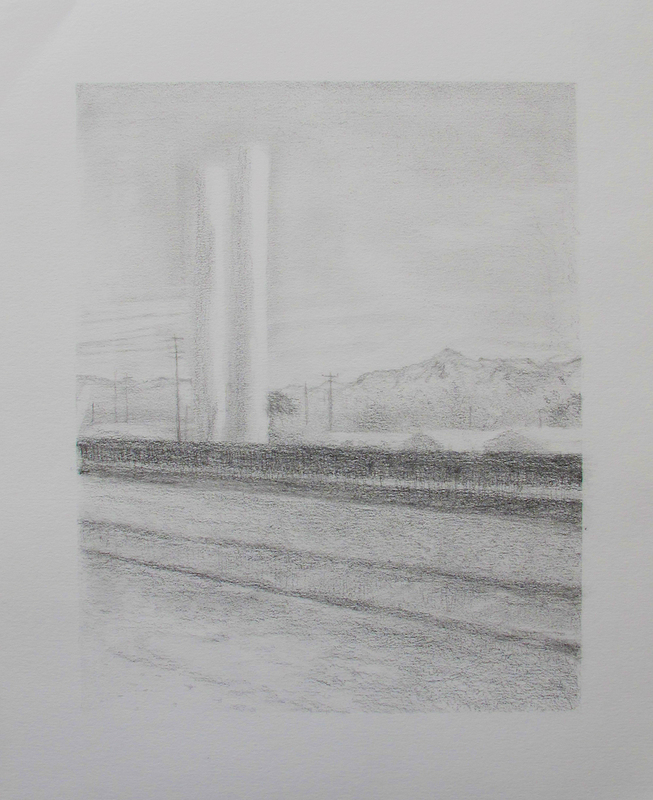 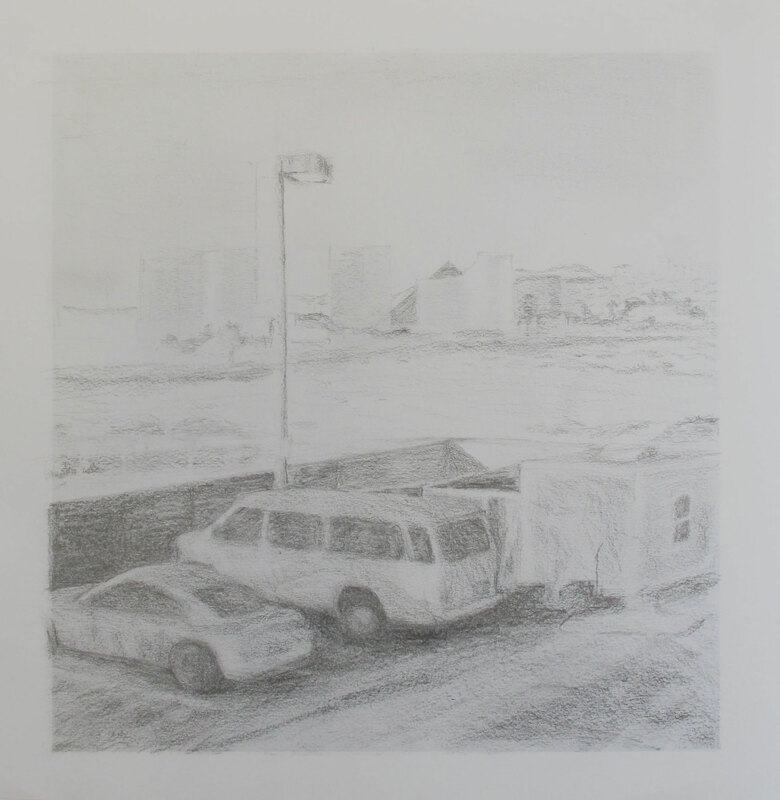 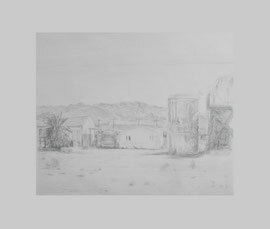 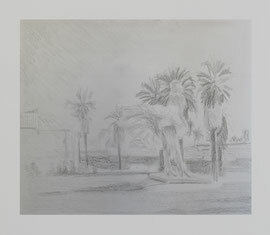 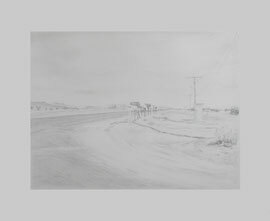 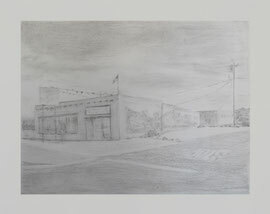 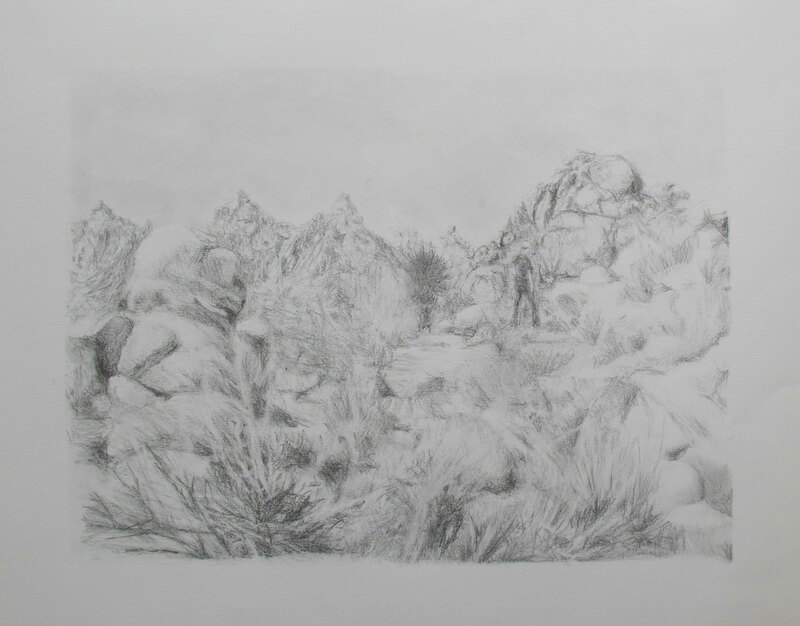 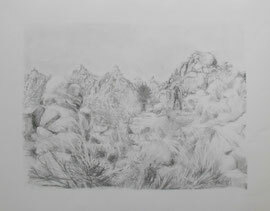 ‘Desert’ is a series of drawings inspired by a trip from Las Vegas to Palm Springs. 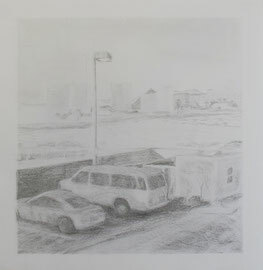 The graphite drawings are contained within the frame like a polaroid picture. 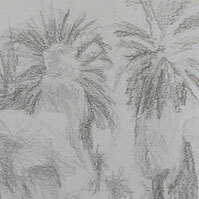 The images are discernible but hazy, like mirages.